WE CAN GIVE YOU THE ASSURANCE THAT ARE COACHING INSTITUTE IS THE BEST IN THE AREA. 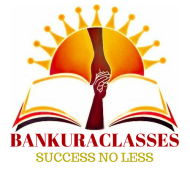 Bankura Classes conducts classes in BTech Tuition, Class 10 Tuition and Class 11 Tuition. It is located in Pinjore, Ambala. It takes Regular Classes- at the Institute.